Product Consists: Bhaiya Bhabhi Designer Lumba Rakhis and Ganesha Rakhi and Doraemon Rakhi for Kids and Kaju Katli Box (Weight: 200 Gms) along with Packet of Roli Chawal. Relationships are main the essence of any festivity and it holds true for any Indian festival. Each occasion brings the family together which calls for a celebration. 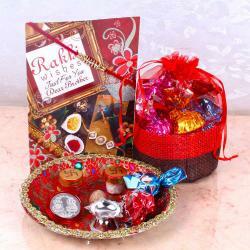 Raksha Bandhan is festival where whole family comes together for celebration. 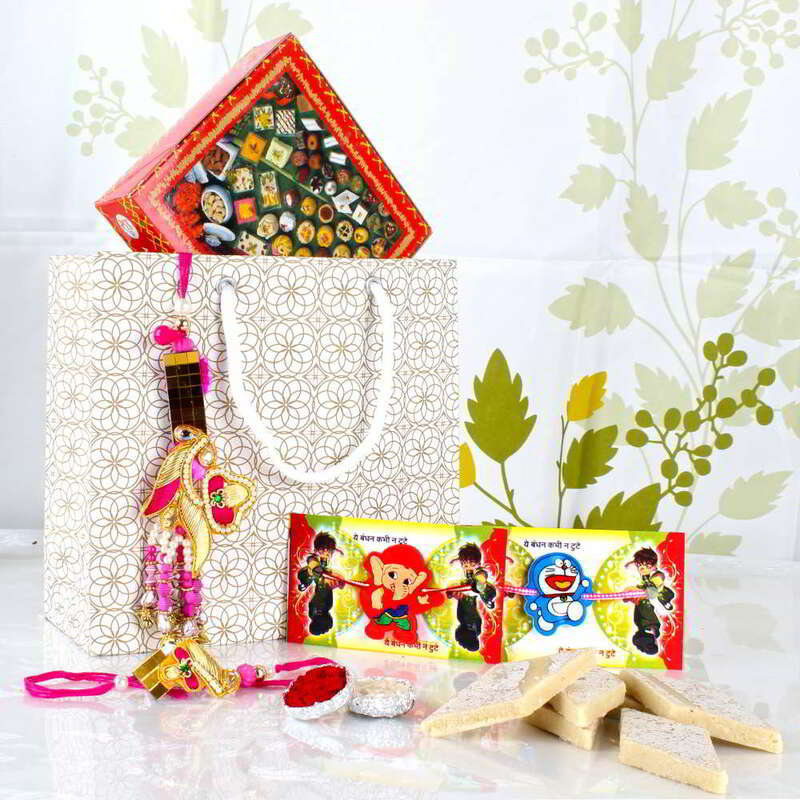 We bring for you Exclusive Rakhi Gift Bag which filled with beautiful bhaiya bhabhi rakhi and two kid rakhis includes Ganesha Rakhi and Doraemon Rakhi and roli chawal . 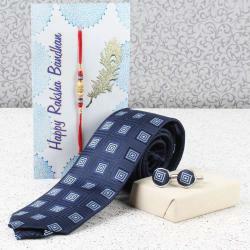 This gift kit will definitely bring charm and prosperity to your brothers and brothers family life. 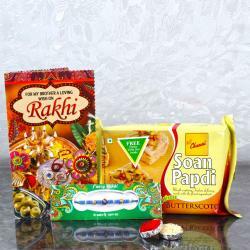 Exclusive Rakhi Gift Bag Includes : Bhaiya Bhabhi Designer Lumba Rakhis and Ganesha Rakhi and Doraemon Rakhi for Kids and Kaju Katli Box (Weight: 200 Gms) along with Packet of Roli Chawal.